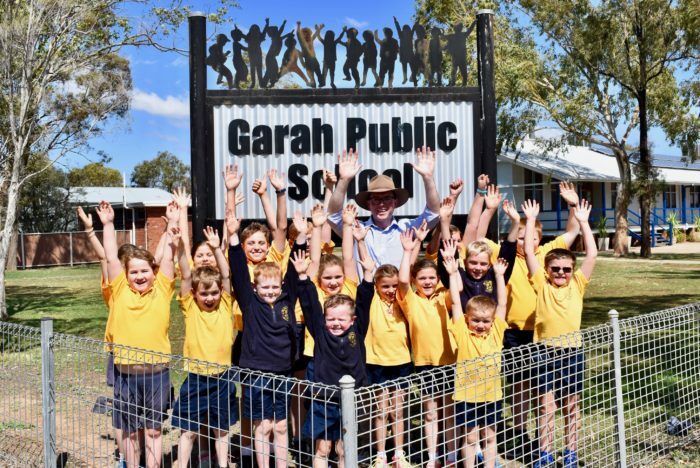 NORTHERN Tablelands MP Adam Marshall has today welcomed the NSW Government’s ongoing support of rural families, by confirming that falling enrolments in drought-affected rural communities will not impact teacher numbers at their local public schools. Mr Marshall said the drought had already forced families from Northern Tablelands to relocate, causing a decline in student numbers at smaller rural schools. “Under this initiative, 22 schools in our region have received this guarantee for continued teacher employment,” Mr Marshall said. “The last thing our communities need right now is to lose valuable local jobs. More than 220 schools in isolated areas suffering from intense drought conditions across NSW have been guaranteed their staffing entitlements this year, with a further 35 schools on the border of drought-affected areas also able to apply for the concession. Mr Marshall said staffing entitlements at the impacted schools next year would have resulted in about 100 job losses across country NSW without this important intervention. Mr Marshall said NSW public school staffing requirements were based on student numbers, so schools that lost students would typically have had a reduction in staff. “However, this decision means that isolated school communities severely impacted by the drought will have certainty and be able to continue to support local students and their families,” he said. “This will also help prevent schools from exhausting their resources and having to recruit more staff once the drought breaks. The list of schools will be regularly reviewed and more schools may be added as a result of changing drought conditions.